I am angry at those who feel violence is the only answer. Maybe we aren’t asking the right questions. Maybe the question and the answer comes from assigning value. Not every cop is a bad cop looking for a racist reason to kill someone. Not every person of color is a thug or a drug dealer or even guilty of a crime. But there are facts that cannot be ignored. Police officers who put on the uniform, are under extreme scrutiny and pressure. Identified by some as racists who murder black men without cause. Yet statistics and a study* by Roland G. Fryer the first African American to be awarded tenure at Harvard University proves otherwise. Black men live in fear of a criminal justice system they feel is stacked against them. And the fear they have of our criminal justice system is supported by statistics we cannot ignore. In 1972 there was 300,000 people in jails and prisons in America. Today 2.3 million people are incarcerated (2016) 37% of whom are black. Six million people of all races on probation and parole. One out of three black men between the ages of 18-30 is in jail, prison, or on probation or parole. There are poor urban communities where over half of the young men of color are under the control of the criminal justice system. Many live in poverty that makes it difficult to secure effective legal counsel to provide discovery in cases where they might be innocent. We have to entertain the possibility that our justice system does not always work for everyone. And that the burden of injustice is not necessarily the fault of law enforcement. The stigma attached to both sides involved makes it difficult for one to do their job, and the other to live without fear. I believe the real issue is the intrinsic value of all human life. Lives that God sent His Son to rescue. In Psalm 139, scripture that is most often used to defend against abortion, also advances the idea that human life is valuable to God from beginning to end. No one should ever cease to be of value from the womb to the grave. In need of God who heals.Who values every life…. 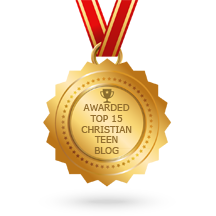 This entry was posted in A CLICK A BLESSING TODAY, Christian Teens Blog JF, CHRISTIAN TEENS BLOGS, Christian Teens Blogs - He is my Peace, Christian Teens Blogs - He is my Peace, Light and Refuge, SHARING STRUGGLES, TAPESTRY TREASURES and tagged black, value, white, Worth. Bookmark the permalink.